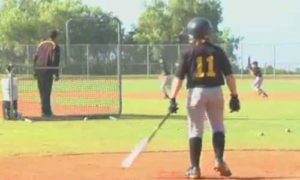 Training baseball teams means placing and training players in positions to perform and succeed on the field. Coaches that focus solely on fundamentals at baseball practice make the biggest mistake when training their teams therefore not enough emphasis is placed on actual gameplay and performance training. 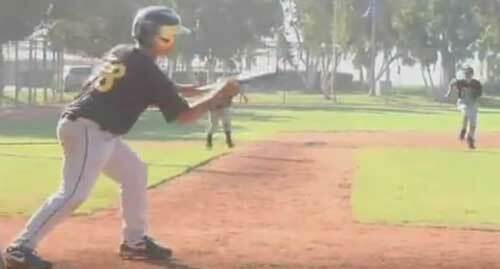 Watch Lifeletics Baseball owner Ruben Corral give his insight on what shapes competitive players at baseball practice. Put the team into groups to keep their reps up. Too much time is spent standing around at practice. Waiting to hit? Then put them on base as baserunners and run everything live, except the batter doesn’t run. This is a perfect way to teach the team on the fly, as each hit gives multiple teaching opportunities. Coaches, make sure you don’t take up too much time teaching. Keep the pace up and the gameplay moving! 2. To build a competitive team, players should play the positions they would normally play during a game. In this regard, everyone learns their role on the field. Teams that play players at multiple positions run the risk of being caught in a situation where a player playing in a not so familiar position, gets a play on the field in a pressure moment. By fielding competitive practices, these players can now learn at game situational speed before playing an official game. Group 3 – Outfield (1 player goes to infield group to catch or sub an open spot). 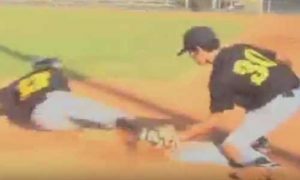 JOBS rounds – The focus is to move the baserunner around the field. Here, our offense works on HIT AND RUN, GROUND BALL RIGHT SIDE, SQUEEZE BUNTS AND SACRIFICE BUNTS. 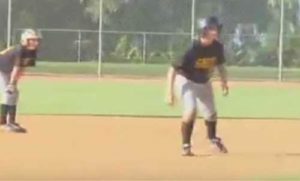 The hitter, baserunners and fielders all move on the play, learning the flow of the shifting defense and how to execute. Driving round – The focus now is playing the live ball. Hitters are working on driving the ball, baserunners are looking to get live reads and take chances they normally wouldn’t during a game situation. The key during practices is to take risks both offensively and defensively to work on pressuring the other team. The more coaches can create gamelike atmospheres and forcing both sides of the team to outplay the other, the more the team will grow in unity and execution in real games.